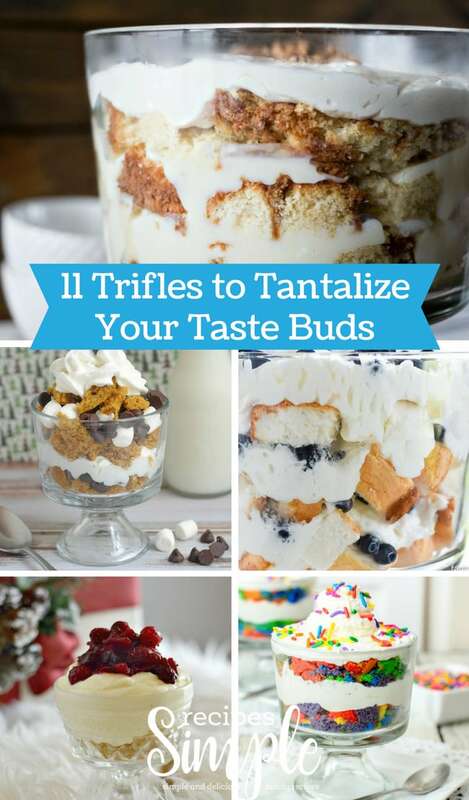 If you are looking for a delicious and easy dessert for a special occasion or the holidays check out these amazing Trifle recipes. 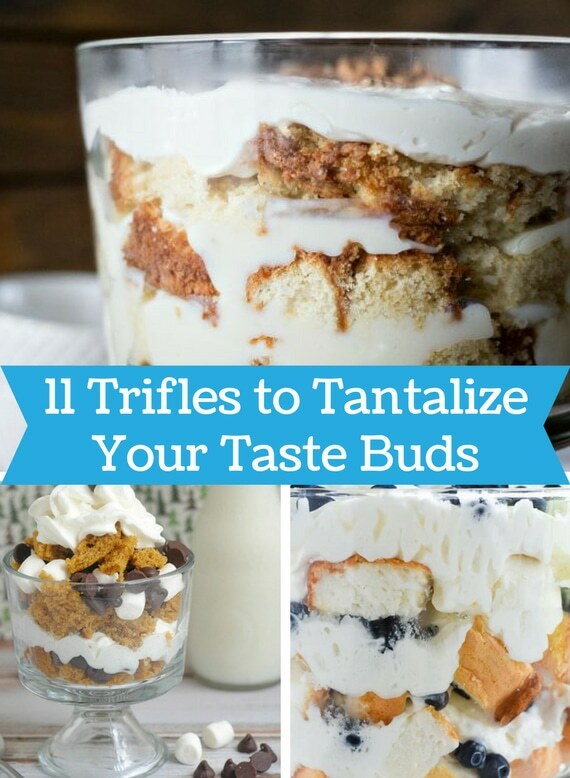 Trifles are the perfect party dessert because they look so impressive and can be made in advance. They don’t require very much time to prepare. Raspberry Cheesecake Trifle by Creations by Kara has pound cake, cream cheese and fresh raspberries that are a delicious combination. Oreo Brownie Trifle by A Step in the Journey has brownies, Oreo pudding, Cool Whip and Crushed Oreos. Chocolate lovers will enjoy this dessert! Pumpkin Bread S’mores Trifle by A Cultivated Nest starts with homemade Pumpkin Bread plus some chocolate chips, mini marshmallows, and whipped cream. 3 Ingredient Blueberry Trifle by Pretty Providence has layers of Angel Food Cake, blueberries and Whipped Cream. So easy and delicious! Chocolate Cranberry Cheesecake Trifle by Who Needs a Cape is the perfect dessert for the holidays with brownies, Cheesecake Pudding, jellied cranberry sauce and homemade whipped cream. Butterfinger Trifle by Foodie Chicks Rule is a dreamy dessert with pound cake, vanilla pudding, chocolate pudding, whipped topping and Butterfinger bars. Cranberry Lemon Shortbread Trifle by This Vivacious Life combines the classic holiday flavor of cranberry with lemon pudding and a buttery shortbread crust. Italian Cream Cake Trifle by A Night Owl is a delicious twist of the popular and decadent Italian Cream Cake dessert. Chocolate Mousse Symphony Trifle by Pretty Providence has devil’s food cake, king sized blue symphony bars, Jello instant mousse and cool whip. Rainbow Cake Trifle by Mom Dot is a easy kid friendly dessert with rainbow cake mix, cool whip and Rainbow sprinkles.